Se habla español. Sirviendo todas sus necesidades de seguro. We have been serving the residents of Hazleton and surrounding areas, since 1959. The agency began as Wilford and Pachence Agency. After several acquisitions of smaller insurance agencies, the agency merged with The Shiavo Agency. The agency was called Shiavo, Wilford, and Pachence and was located in the Hazleton National Bank building. 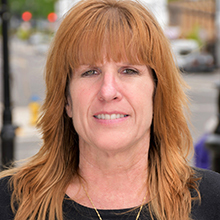 Karen Yackanicz is a Licensed Personal Risk Manager, servicing all types of personal insurance. Karen started her career in insurance while she was in high school, and then she completed several college courses. Karen’s insurance career spanned several agencies. With the acquisition of the Pachence Agency in 1995, Karen became a member of the Joyce Insurance Group. Karen enjoys boating and camping in the summer at Thousand Island in NY. Karen currently resides in Beaver Meadows, PA with family and dog Missy. Astrid Cabrera is a Licensed Property and Casualty Agent. 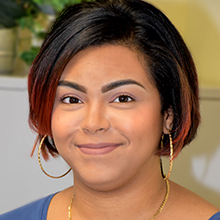 She has been with Joyce Insurance group since 2016, providing Spanish speaking clients the education they need in order to adequately choose the insurance that meets their needs. Astrid resides in the city of Hazleton with her husband Jose, and her three children: Jade, Janelle, and Xander.